St. Patrick's Day 2012 in St. Paul was the crowning moment of one of Minnesota's mildest winters: Jubilant parade spectators wore flip flops, Miss Shamrock beamed in sleeveless, emerald satin, and the beer never tasted so refreshing as temperatures hit 80 degrees. Three months later, the dazzling sunlight was nowhere to be found when rain sheets pummeled the Duluth area. Muddy torrents of chocolate, fuming floodwaters tore through town, leaving shock and devastation. Both extremes happened in a Minnesota our ancestors never knew. It's warmer, especially in the winter, and rising global temperatures have stacked the deck in favor of heavier rains. Even in a land used to being wowed by the weather, the month-to-month, year-to-year roller coaster ride is more thrilling — and terrifying — than it's ever been. 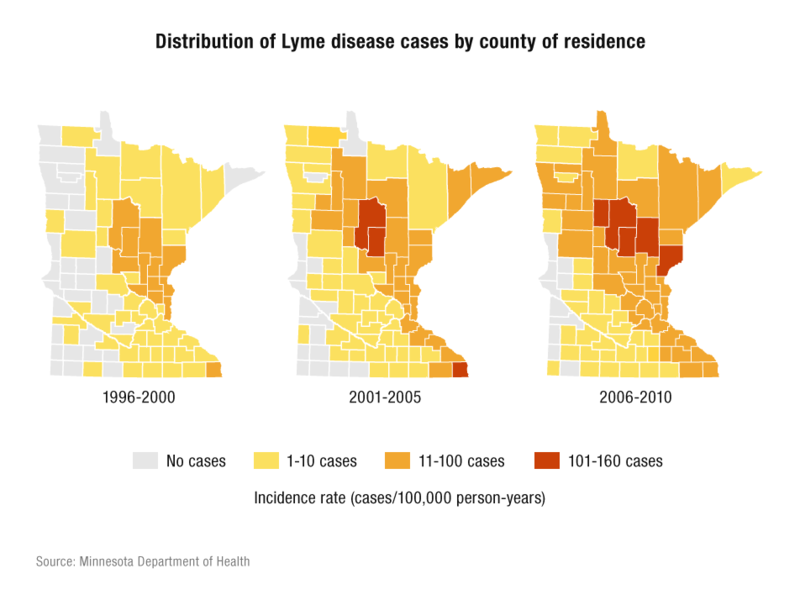 Data collected systematically over nearly two centuries make it irrefutable: Minnesota's climate has changed and so has the state's diverse web of life. Cold weather species like moose and lake trout are disappearing. Maple trees are migrating north. Bugs once killed off by winter are surviving to destroy tens of thousands of acres of forest. Lake Superior is one of the fastest warming lakes on the planet. Climate scientists get nervous attributing one really warm month or one big storm to climate change. But undeniable trends are giving Minnesotans reason to look out the window every day and wonder whether climate change has something to do with what they see. Although 2014 was colder than normal here, most of the rest of the world heated up, making the year the warmest on record globally. The world's temperature has been rising almost a third of a degree per decade since 1970, and carbon dioxide in the atmosphere, considered the main driver of this change, has reached its highest level in at least 800,000 years. Efforts by some world leaders to address it have picked up urgency. Late last year, President Obama announced an agreement with China to take steps to deal with carbon emissions, and last week he urged India to do more as well. 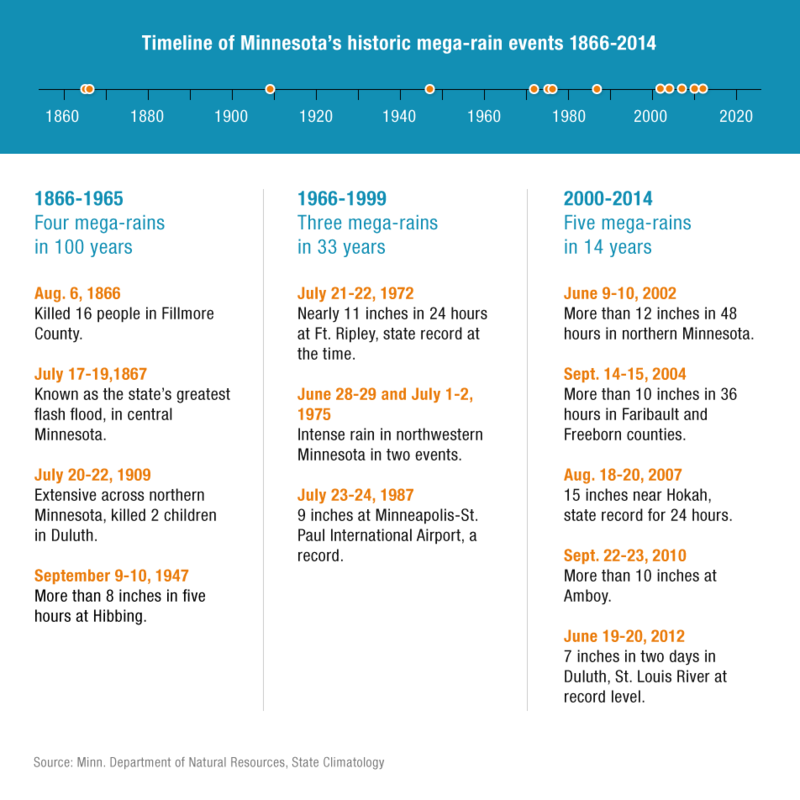 Compared to most other states, Minnesota has experienced faster temperature increases and greater increases in big rainstorms. In response to the change, the state in 2007 set goals aimed at reducing carbon emissions. And since then scientists have fine-tuned research; health, environment and other officials have urged new policies to address the change. At the same time, foresters, farmers, business and government leaders and others have begun adapting to change — whether they accept the term "climate change" or not — to prepare for impacts that could cost billions of dollars in coming years. Weather and climate are inextricably linked, which is why countless conversations about climate change go something like this, says state climatologist Greg Spoden: " 'Hey, look it's very hot today, isn' t this an example of climate change?' Or, 'Hey, it's very cold today, where is your climate change, Buddy?'" Think baseball, Spoden says. "Weather is the individual at-bats and the individual games. The batting averages and the long-term statistics are the climate." "If your best hitter goes 0-for-4, that's not necessarily a trend and you' re not going to trade him or cut him. It's a body of work over a season or many seasons." 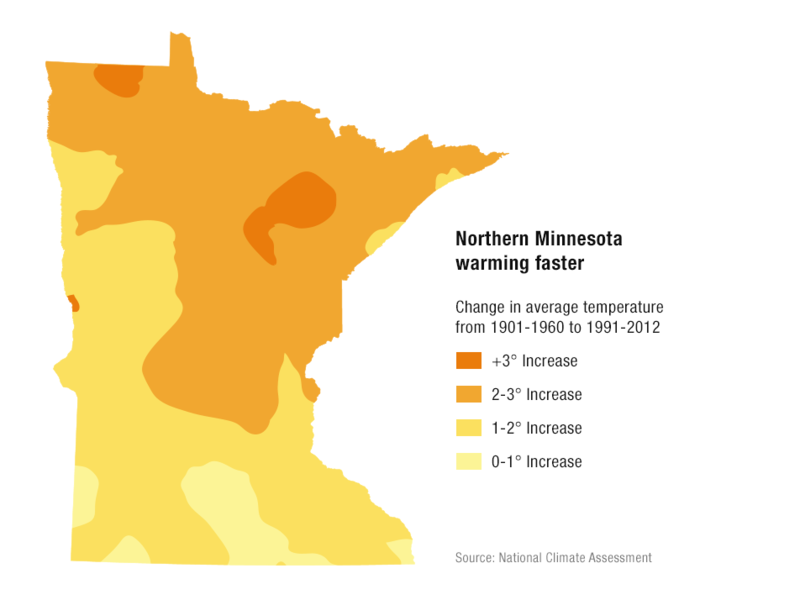 Minnesota's climate record goes back further than baseball statistics. A fur trader in the Red River Valley started recording temperature and precipitation data in 1807 (1). A surgeon at Fort Snelling recorded the first readings there in 1820. (2) Today the scorekeepers include 163 volunteer weather observers scattered around Minnesota who send information daily to the National Weather Service. More than 50 sites have collected data for more than a century, including Milan, a town of 350 people in western Minnesota. "You really don't notice it, but a degree or two over the long haul is significant," Opjorden said. 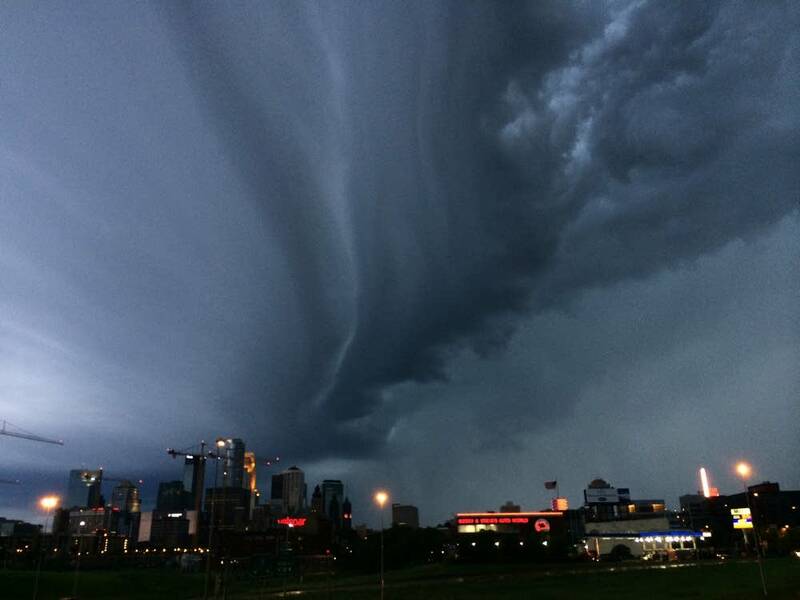 "We are very blessed in Minnesota to have the length of records that we do," said Michelle Margraf, the National Weather Service's coordinator of weather observers for part of Minnesota. 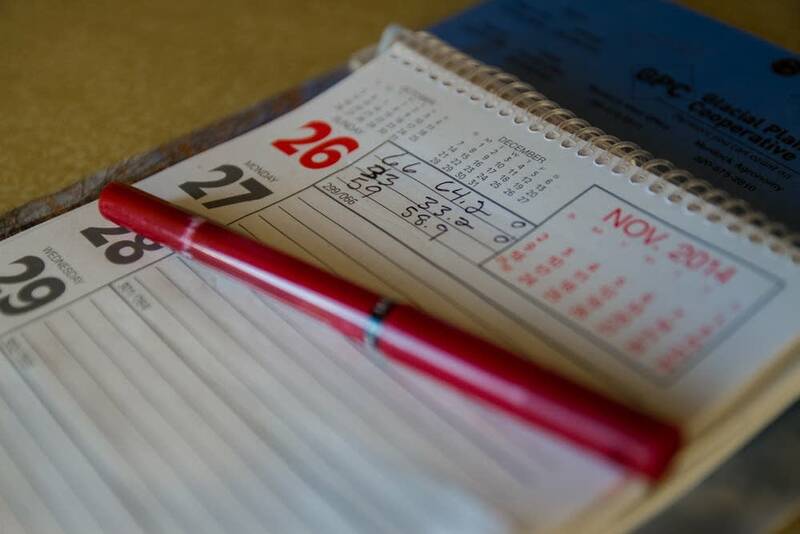 "We're just grateful for the people who had the foresight back then to start marking down the daily information." "The wintertime signal is the most robust in the data record, particularly as you go north. 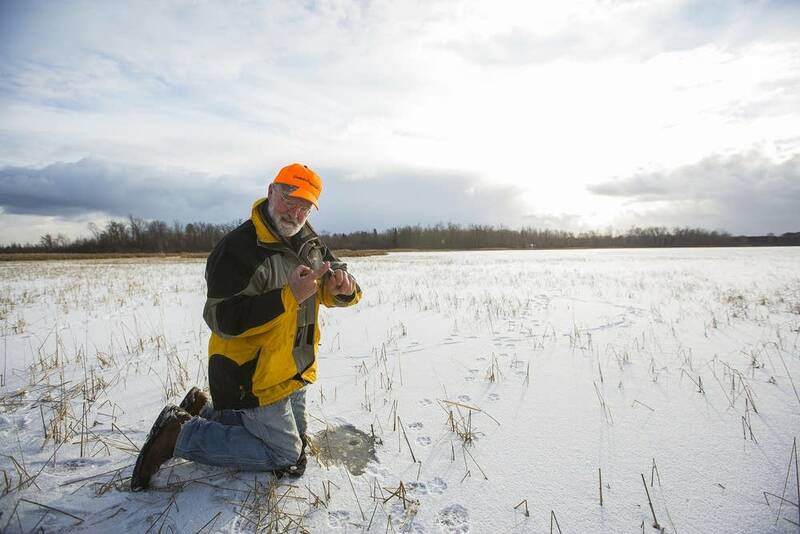 Northern Minnesota is definitely bearing the brunt of that warming," he said. One possible explanation for that, he said, is that snow and ice normally cover northern climates like Minnesota in the winter, acting like a mirror to reflect the sun's rays. "When it's warming, you can get less snow, and the fact that you have less snow, uncovers the surface below it, which might be less reflective, and that causes additional warming, which melts more snow and it goes around and around," Snyder said. (10) In the past 40 years, Minnesota's winters have warmed faster than any other state. (11) More heat affects Minnesota in countless ways. An obvious one: less ice on the state's vaunted 10,000 lakes. "This lake has been on average a half a day later a year for 30 years," he said, standing on two-inch thick ice late last fall. " So it's 15 days later now than it used to be." Ice cover on Lake Superior has declined by nearly 80 percent since the early 1970s. (13) And the Minnesota Department of Natural Resources has noted a trend toward lake ice melting earlier in the spring. (14) The lake with the longest data record is Lake Osakis in central Minnesota. 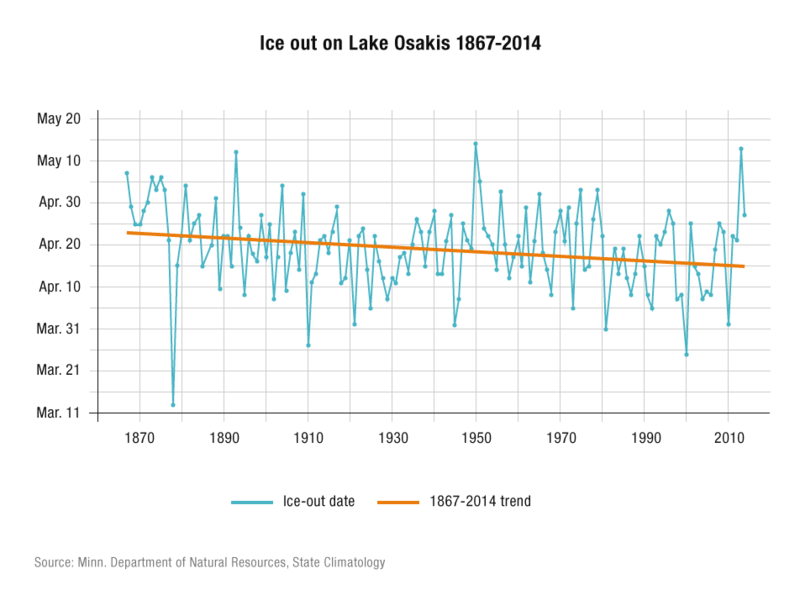 In the past century and a half, the average ice-out date has shifted about a week earlier. Less obvious than ice-out dates are changes in the diverse ecosystems that characterize different parts of the state. Some species have a harder time adjusting to changes and might not tolerate a warmer Minnesota, while others will be more fit to survive. Some populations, like insects, might even grow quickly. "We like to think of them as the bellwethers of climate change, because they're the ones that are most sensitive to these changes in the environment," DNR forest health specialist Jana Albers said. Scientists predict Minnesota's beloved north woods — the boreal forest of red and jack pine, spruce, birch and aspen will shift northward as the climate warms. 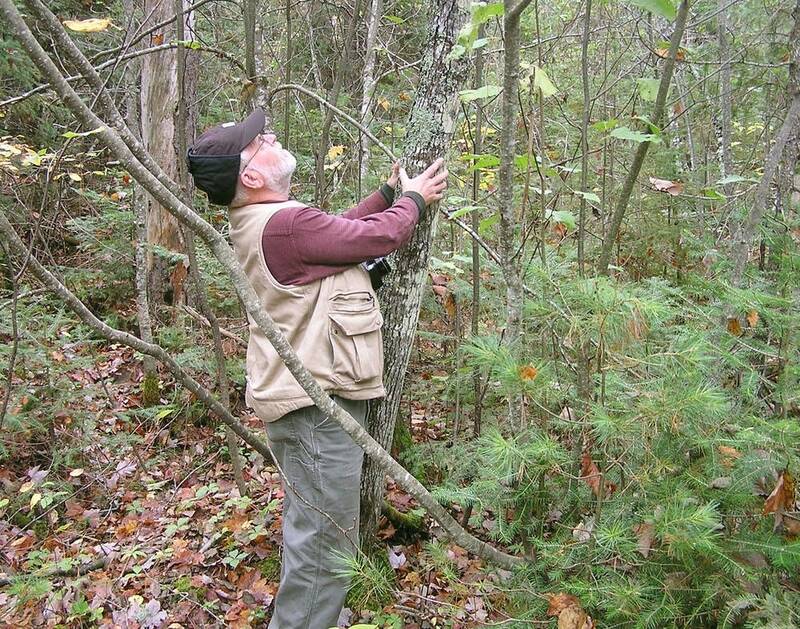 University of Minnesota forest ecologist Lee Frelich has documented the change already. He's seen thousands of red maple seedlings per square mile in the Boundary Waters, pushing into patches of boreal forest. Meanwhile, some pines are getting old. (18) " And when those pines go, they' re not going to be replaced by other pines, they' re going to be replaced by red maple, which is already there, waiting to take over," he said. Like the pines, Minnesota's iconic moose is living at the southern edge of its range. Northeastern Minnesota has lost half its moose population in less than 10 years. The warmer temperatures also have implications for farmers. Some are planting corn in northwestern Minnesota and northern North Dakota, where it used to be considered too risky to grow. (22) The growing season in the Twin Cities is several weeks longer than it was even in the 1970s. 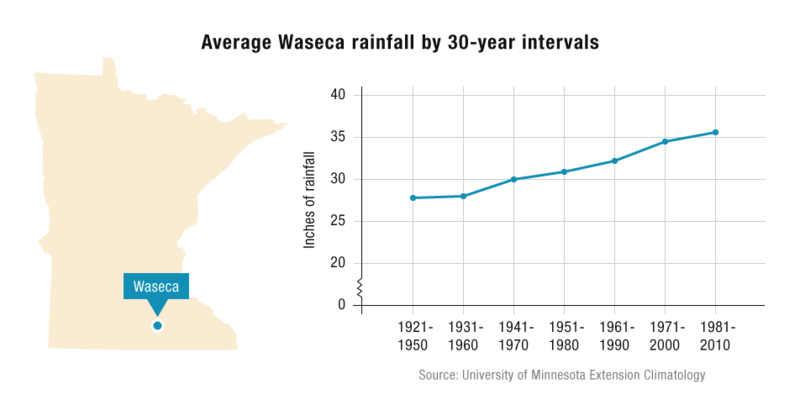 Although a couple degrees change in temperature can have major impacts, Minnesotans are perhaps more likely to have noticed another change in the climate: heavier rains. The 2-inch rains historically have come about every five years in a given place. And then there are the really big storms that bring at least 6 or 7 inches of rain over a huge geographic area, with powerful enough spots within the storm dumping 8 inches or more. These types of storms are occurring more frequently, at least partly because warmer air can hold more water. "These are the kinds of events that even though record-keeping was not as good 100 or more years ago, these kinds of events wouldn't slip through the cracks, they would have affected at least one of our long term weather observing sites and probably many," Spoden said. Five of those dozen storms have occurred just in the past 14 years, and three of them were unprecedented, Spoden said. Considered 1,000-year storms, the three pummeled southern Minnesota in 2004, 2007 and 2010. 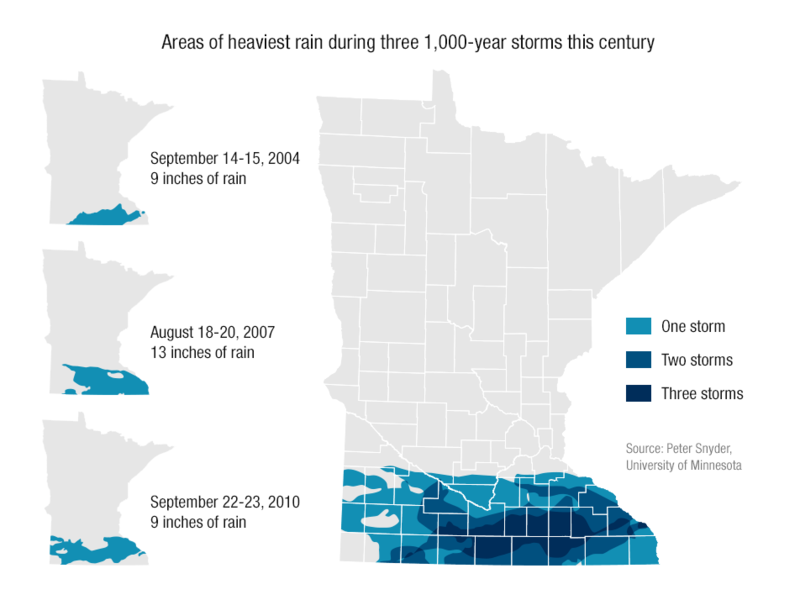 In 2007, 15 inches fell into the Hokah weather observer's rain gauge in southeastern Minnesota, the largest 24-hour rainfall total ever recorded in the state. (29) " It was so heavy that the elderly gentleman who made the measurement in Hokah had to call his son and help him dump it," Spoden said. "It was a real eye opener for our community to see that our infrastructure simply wasn't up to the task given our changing realities, both with climate change and having larger natural disasters," Mayor Don Ness said. A third facet of the change in Minnesota's climate, in addition to more heat and bigger storms, is murkier because it involves scientists asking whether things are in fact getting more variable and unpredictable. For example, because big rainstorms account for a bigger portion of total rainfall, the state can dry out for weeks without reducing annual precipitation. Some meteorologists call it "flash drought." Suddenly, after a wet spring, the spigot turns off. 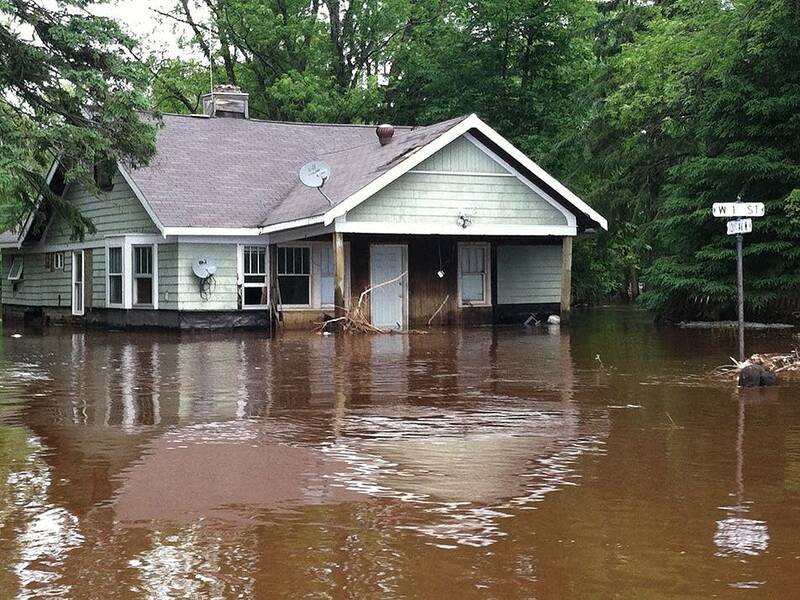 The big May 2012 storm in Duluth gave the St. Louis River its highest-ever discharge crest. But six months later, the river was at drought levels. Another example of variability took place last winter, when the state plunged into deep cold with wind chills hitting 60 below zero. It was the winter of the " polar vortex," which, it turns out, could indeed be related to climate change. Jet streams are like rivers of wind high in the atmosphere caused by the difference in temperature between the poles and the tropics. The arctic has been warming much faster than the tropics, and that may be causing a "wavier" jet stream, said Rutgers University researcher Jennifer Francis. "If the jet stream is becoming wavier — and we have various lines of evidence that this is actually happening — then those larger waves in the jet stream tend to move more slowly from west to east. Once those waves get quite large, then the weather patterns can become so slow that in effect they get stuck." That, in turn, can mean that weather patterns, whether they involve extreme cold or heavy rain or drought, can also get stuck. But Francis notes that other factors could be influencing the jet stream. The vast majority of climate scientists agree the concentration of carbon dioxide in the atmosphere, largely from burning fossil fuels, has reached unprecedented levels and has a greenhouse effect on the planet by trapping heat. But they often disagree on some things: Was that single weather event related to climate change? Is a given trend really a trend, or do we need more years of data to make a conclusion? There are indications, for example, that Minnesota is experiencing more humid summer days. University of Minnesota Extension climatologist Mark Seeley (a commentator for MPR News) includes a measure of high dew point days as climate change evidence in the many presentations he makes around the state. Others are less convinced that the data are significant. Some have pointed to increasing amounts of hail and tornado damage in recent years. 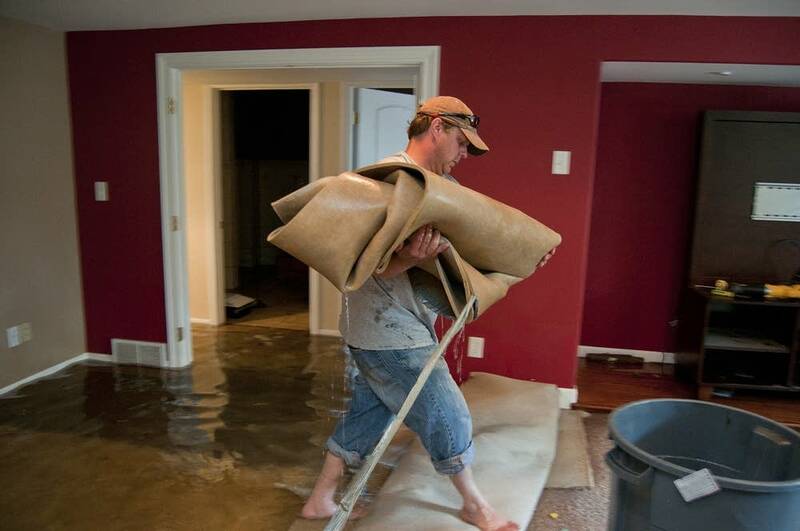 But others note that damage estimates depend on lots of factors other than weather — increased development, for example, or more expensive repairs. 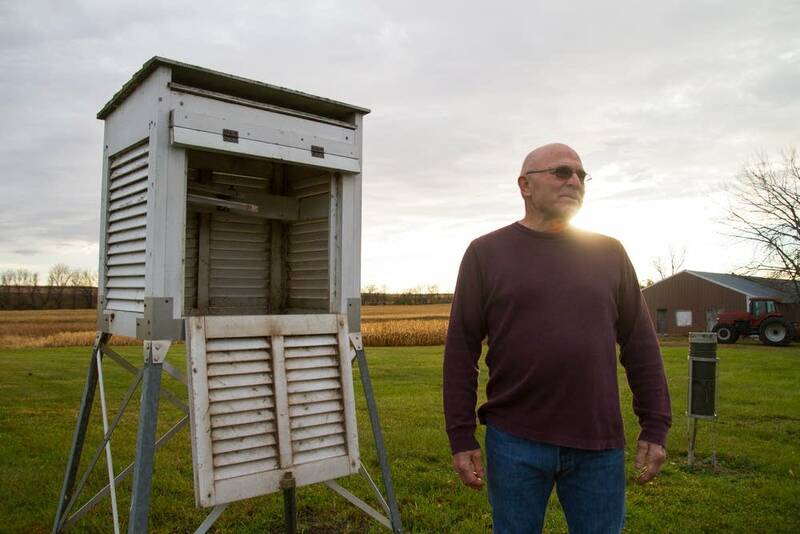 Research scientist Harold Brooks has spent a lot of time with the National Weather Service's severe weather database, and when he travels to speak about his research, he often jokes about wanting to throw it in the garbage. "We don't know exactly what's happened, and so we have to infer sometimes the relationships between things that we observe well and things that we don't observe very well, and it's always difficult when we' re doing that," said Brooks, who works for the National Oceanic and Atmospheric Administration's Severe Storms Laboratory in Norman, Okla.
Snyder said the fact that Earth's climate is naturally variable makes it difficult to separate the climate change signal from what he calls "noise."